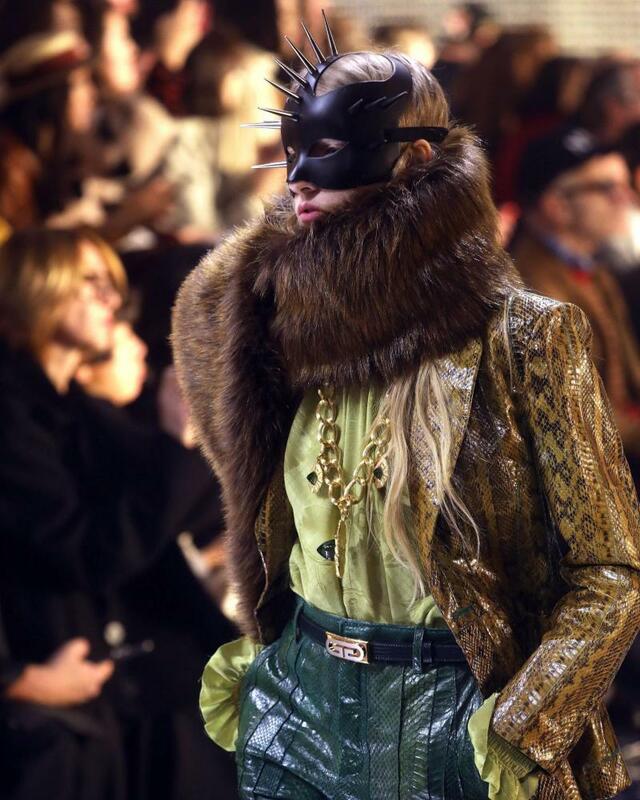 There were harlequin tunics, pantaloons cuffed at the ankle, ruffed Pierrot collars and tears painted on to faces as the new Gucci collection paraded the catwalk. But a clown is never just about merriment, and there were serious issues to be addressed at the show that opened Milan fashion week. The usually flamboyant Michele cut an unusually downbeat figure as he addressed the storm of criticism Gucci has faced for the “blackface” balaclava-style sweater, featuring outsize red lips, which was withdrawn from sale earlier this month. “I am very sorry. From my grief, I will learn something. We will learn a lesson and this company will do things in a different way,” he said. Marco Bizzarri, Gucci’s chief executive, who has said the mistake was caused “because of cultural ignorance, but ignorance is not an excuse”, has committed to improving diversity at the company. The debacle is one of a series of racism scandals that have highlighted how a lack of diversity in both creative and management positions at Italian fashion brands has allowed cultural insensitivity to run unchecked. In December, Prada was forced to withdraw from sale monkey figurines that resembled blackface. With one week to go before its catwalk show on Thursday, Prada announced the launch of a diversity and inclusion action committee, chaired by the US artist Theaster Gates and the film-maker Ava DuVernay, which aims to “elevate voices of colour in the fashion industry” by improving the diversity of Prada’s workforce. Dolce & Gabbana’s show on Sunday will be its first since a Shanghai event was cancelled in a racism row that caused a huge backlash against the brand in China. Gender fluidity runs through the Gucci aesthetic. Male models in this show wore cinch waists and high heels, while women wore oversized blazers. Masks signifying hermaphrodite deities were a reference, Michele said, “to the ancient world, where being between two sexes was praised, and masks made to celebrate what was thought to be a blessing”. 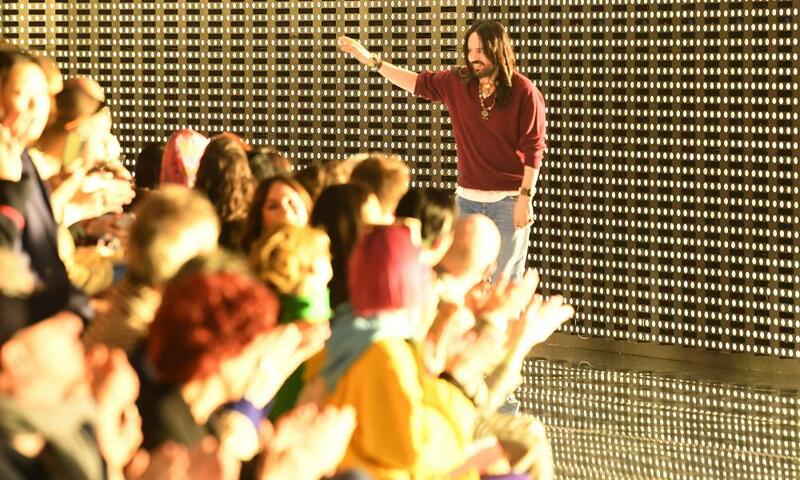 Clothes are always costume at Michele’s Gucci. But among the maximalist dreamscape of clashing colours and rhinestoned slogans were signs of fashion’s latest directions. Exaggerated high-waisted trouser silhouettes, double-breasted blazers, colourful trainers and bibbed necklines were details from this collection whose influence will be felt on the high street.